Few places can hold my interest as well as Petra. I first discovered it a few years ago, while attempting to learn more about Jordan’s past, and immediately put it at the top of my travel bucket list. Okay, it’s second to Paris, but you get the idea. 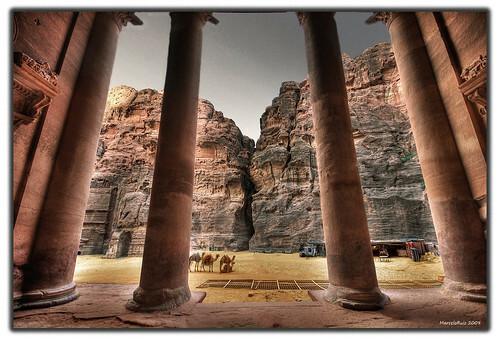 Petra is an ancient city in southwest Jordan, and was one part fortress and one part trade stop for the Nabataeans. T.E. Lawrence, of Lawrence of Arabia fame (yes, he was a real person), helped defend it from invading British forces in 1917. It’s now a renowned tourist attraction, and one of the new Seven Wonders of the World. Massive and completely carved from rock, it contains several caves, tombs, temples, wells, aquifers,. and a man-made oasis, once used to sustain its inhabitants during droughts. 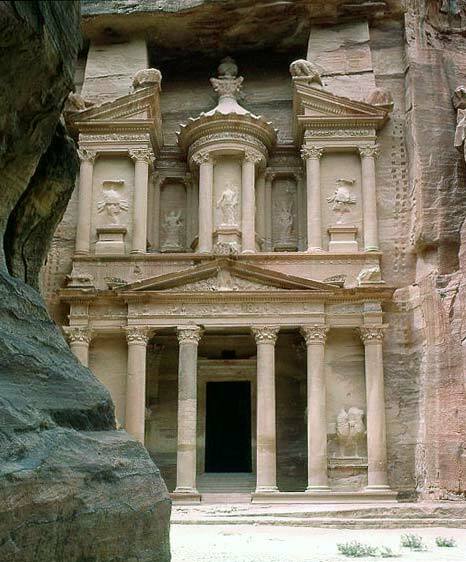 Petra’s most famous feature is the Treasury, a massive amphitheater with Roman architecture. The Romans controlled it for decades, building roads and expanding water structures, but mostly failed to maintain the city. Petra now stands mostly in ruins, but after being declared a World Heritage site by UNESCO (United Nations Educational, Scientific and Cultural Organization) in 1985, it is being restored by both the UN and the Jordanian government. It’s a popular tourist spot, and I personally think it’s a destination that should be on every traveler’s list of places to visit. « winner of creo care giveaway, blog news. Oh, to be a twenty something and able to travel !! Petra is on my wish list !